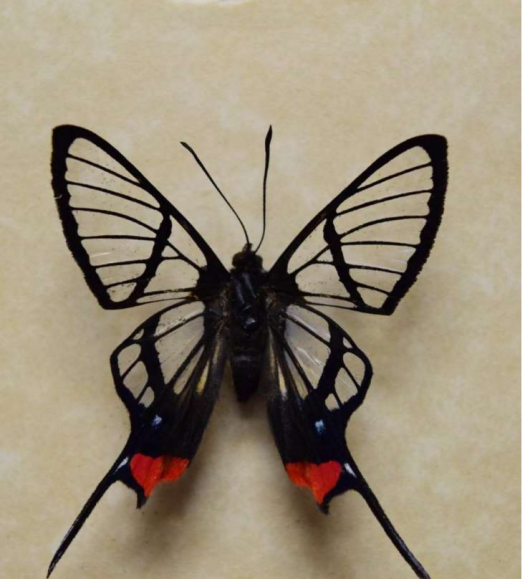 The wings of the Long-Tail Glasswing butterfly are very unique. Their wings have tiny bumps that allow it to seem completely transparent. Scientists have decided to mimic the nano-structure of the wings to help with glaucoma. Glaucoma is defined as a group of eye diseases that damage the optic nerve. Five percent of cases result in irreversible blindness. Scientists are making an implant could give accurate readings of the fluid buildups that can eventually lead to blindness. The implant will scattering light like the butterfly’s wings. Currently there are medications that can help with glaucoma cases. They help reduce the pressure in the eye which could help prevent vision lost. However taking the medication at exact time of pressure change is important. The implant can make that possible. The implant is the size of a sesame seed. It works by revealing change in pressure when a light is shined on it. The implant is made from a flexible membrane stretched over a mirror, with a small empty space in between. The goal of this new technology is to making it so people can track their eye pressure from home using the light from their cellphone. A problem with current devices that measure eye pressure is that they need to be held directly in front of the eye. This is impractical for at home use. However the design from the butterfly wings make it so an accurate measurement can be achieved from any angle. This implant is still being worked on, but will be ready for human trials in three years. Thanks to this butterfly’s wings new effective treatments for glaucoma are in reach.